So as I have been periscoping (live stream app) and showing many foreclosures and fixer uppers several comments have risen from it. I get many people saying hey this is like “flipping vegas, flip flop on HGTV or flip my house” just to name a few reality shows. As you know some of these reality shows can be very scripted. These reality shows can send you on tail spin thinking that you can make several thousands of dollars with very minimal work. I have attached a youtube link below where I walked through a foreclosure home. Here are 5 tips that I have learned over the years from my clients in my 10 years of business. You need to be prepared to have a bidding war over properties in very good areas of Chicago or any sought out after area. Make sure you have your financing in order many seasoned investors that have been in the game for a very long time have “CASH” on hand and know what properties will sell for. As you know most of the properties are in desperate need of repair and you would need a rehab loan in order to compete with the cash kings. Be prepared to see many offers on the table for 1 property and be prepared to pay over list price on the home. Aside from financing you will also need to make sure you have a budget and you must keep to it. Many novice buyers get in over their heads when it comes to purchasing the property and end up forgetting that they also have to rehab the home. Find out from your contractor what it will take to rehab the home prior to purchase even in an auction situation the bank still allows you to view the home. This one is a touchy subject because just like a bad car mechanic there are bad contractors out there. 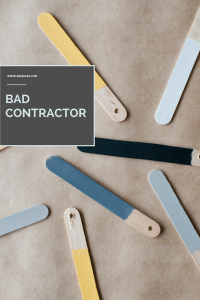 Make sure you do the research and find a good contractor. Ask questions like…..
1. Would you please itemize your bid? Many contractors just give you one big lump sum amount and they don’t break it down. 2. Is your bid an estimate or a fixed price? Some contractors treat their bids as estimates, meaning bills could wind up being higher in the end. Be sure to request a fixed price bid instead. 3. How long have you been doing business in this town? 4. Who are your main suppliers? If they have been in business for a while they will have their own supplies which will end up costing you less or if they have to go to the local hardware store like Home Depot or Lowe’s then you better make sure you go with them for budget purposes. 5. Who will I be dealing with your foreman or general sub-contractors? A lot of times the person who you are wheeling and dealing with for figures is not the actual person with whom you will be communicating back and forth with on the job. Find out who it will be so you don’t but heads later down the road. You can also find good contractors on some online services like Angie’s List or Home Advisor as well as Yelp.com. 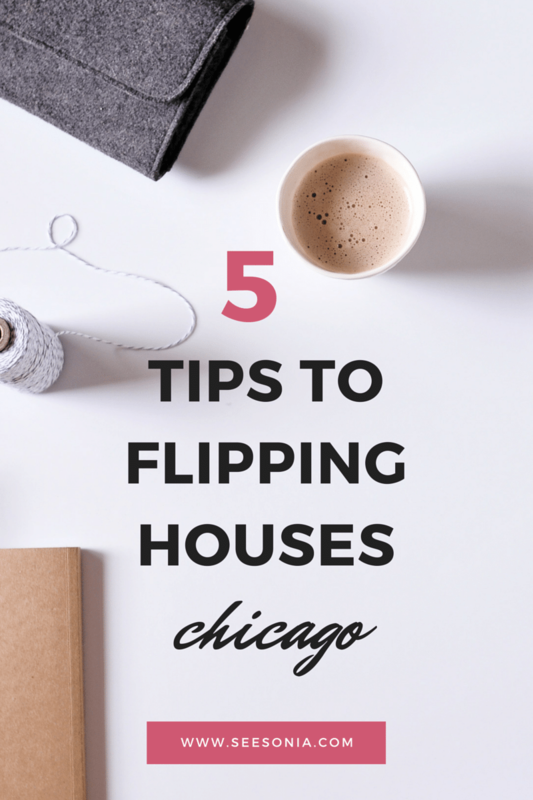 When it comes to flipping houses one key to remember is the location of the home. This is super important because if you buy in a not so hot neighborhood your property will sit on the market for years to come and over time it will become even more expensive for you. If you are not familiar with the neighborhood do some research. Go to my last post on top 3 websites for crime https://www.seesonia.com/top-3-websites-about-chicago-crime/. Also look at the market times of the current properties that are for sale in the area if there are long market times that is an indication that properties are just not moving as quickly. There a fees that inexperienced flipper might not even think about here are some of the common ones that I see that the rehabber forgets about. Have you gone through a flip? I have some horror stories from my clients be careful out there. A lot of people now a days are more resourceful when it comes to generating their means of daily income….